JUNE 21st – DG welcomes the well traveled NICK FOX! plus NINJA vs. PIRATE vs. ETC. HAIKU CHALLENGE! | Dirty Gerund at Ralph's Rock Diner! « THIS MONDAY 6/14/10 – DIRTY GERUND FEATURES JAMAAL “Versiz” MAY from DETROIT! Plus – “Dog Days of Summer” Poetry Challenge! JUNE 21st – DG welcomes the well traveled NICK FOX! plus NINJA vs. PIRATE vs. ETC. HAIKU CHALLENGE! This week, Dirty Gerund goes ARGHHHH! by welcoming our good buddy NICK FOX to our stage! Fox is a poet, novelist, editor and rabid White Sox fan who has been performing spoken word poetry for over ten years, featuring at over a hundred venues across the U.S. and Canada. 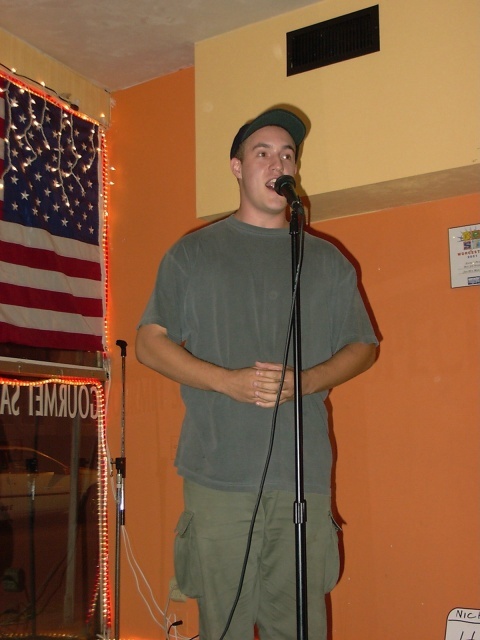 He is a three-time competitor at the National Poetry Slam, a two-time winner of the LEAF Slam in Black Mountain, NC, and the founder of the Flagstaff (Arizona) Poetry Slam. He currently lives in New Orleans, where he works as a copy editor and moonlights as a tour guide. He recently received his MFA in Fiction from Warren Wilson College, and is finishing a novel about basketball. He’s served as “the voice of God” at the National Poetry Slam Finals and probably knows more jokes than you! BONUS RUCKUS – The war will finally have a clear winner when The Ultimate Pirates vs Ninjas vs Rogues Haiku Challenge!! 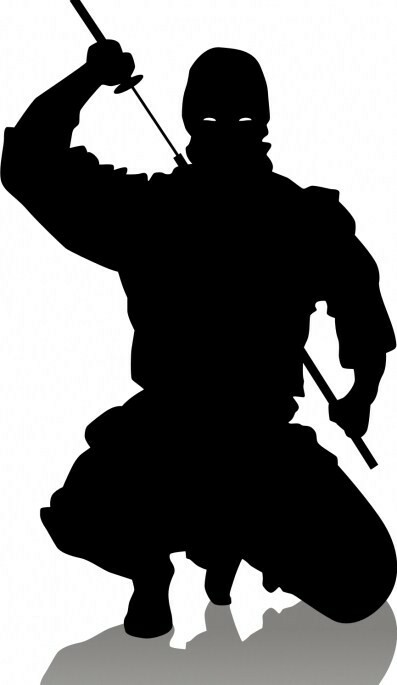 Bring two to three hiaku representing the tribe you feel most akin to and through brackets of Pirate vs Pirate, Ninja vs Ninja, Rogue vs Rogue until the baddest Pirate, Ninja and/or Rogue remain to battle it out in uncensored action!! ONLY ONE REP FROM EACH TRIBE SHALL REMAIN TO BATTLE FOR TOP PRIZE! ONLY ONE ULTIMATE WARRIOR WILL STAND AFTER THE SYLLABLES HAVE BEEN DROPPED!! ONLY ONE SHALL CLAIM THE SUPER PRIZE! (Side Note🙂 We are all familiar with what Pirates and Ninjas are, but you may be asking what are the rogues? Rogues are the wild cards of the battle, the zombies, gypsies, cowboys, astronauts, ect. LUKE? Are you bringin’ the snack time? Get in touch with me bro! SHANE HALL & TBO will be playin’ like they don’t wanna walk the plank! Shane thinks Ninja’s got it like that NO CONTEST! and on paper (and in real life) he may be right! but in haiku form anything can happen! LET’S KEEP THIS MONDAY SUMMER PARTY GOIN! HEEEEYARGH!!!!! UNHHHHHHHHHHHHHH!!!! This entry was posted on June 17, 2010 at 4:20 am and is filed under Uncategorized. You can follow any responses to this entry through the RSS 2.0 feed. You can leave a response, or trackback from your own site.